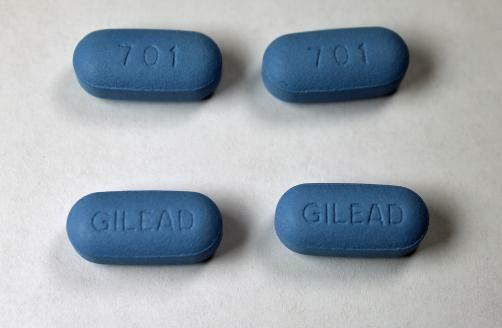 Gilead have been accused of ‘ripping off’ US taxpayers after the firm was revealed to have generated $3 billion in sales from preventative HIV drug Truvada, despite the fact it was developed by the US government. While the American government patented the PrEP drug in 2015, the government has not received a single penny in royalties from Foster City-based Gilead Sciences. Nevertheless Gilead charge between $1,600 and $2,000 a month for Truvada. Meanwhile, generic versions of the drug are sold for as little as £20 for a month’s supply in the UK. The high price has been a barrier to access and has meant the number of new HIV infections has stayed steady in the United States at a rate of around 40,000 a year. As such, activists have called on the government to crack down on Gilead and other price gouging firms. “The CDC has all these patents and is allowing Gilead to rip off the American people at the expense of public health,” said James Krellenstein, an HIV/AIDS activist and co-founder of the PrEP4All Collaboration. “With the amount of effort and time and taxpayer money that went into it, for CDC and Gilead not to come to an agreement, so the taxpayer could get some of that money, is really unconscionable,” Thomas Folks, a former researcher at the U.S. Centers for Disease Control and Prevention lab said. The dispute comes amid Donald Trump’s pledge to end the HIV epidemic by 2030. Widespread access to PrEP will be fundamental in achieving this goal.